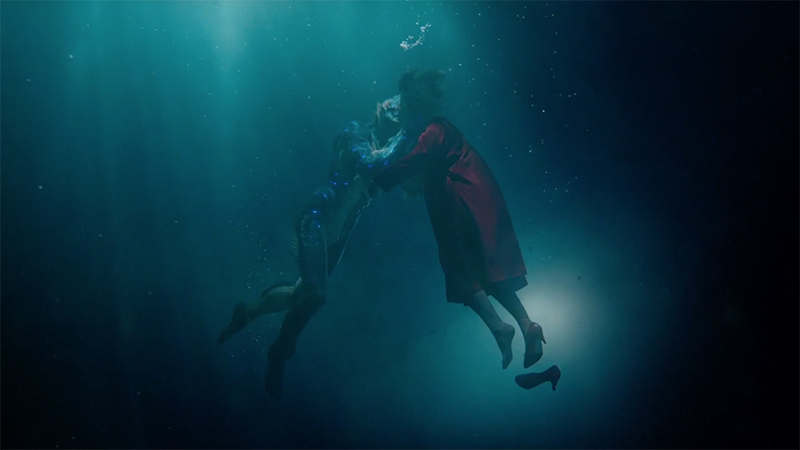 While there are definite Hellboy vibes—especially in the antiquated stylization of the lab—The Shape of Water looks like a fairy tale or fable, a kind of magical realist romance in the midst of the Cold War. While it takes place in the 1960s, there’s an ethereal otherworldliness to the setting—much like many of del Toro’s other films, it’s anchored in the real world, but soars to somewhere supernatural, blending the historical and he mystical. Watching this trailer, I can’t help but think of Marc Caro and Jean-Pierre Jeunet’s The City of Lost Children and Delicatessen. It has a similar dark, dreamy, borderline nightmare sense of wonder, where you’re mere moments away from the fantastic turning into the hellish. A more current comparison may be The Lure, at least in an aesthetic sense. An other-worldly fairy tale, set against the backdrop of Cold War era America circa 1963. In the hidden high-security government laboratory where she works, lonely Elisa is trapped in a life of silence and isolation. Elisa’s life is changed forever when she and co-worker Zelda discover a secret classified experiment. Guillermo del Toro also assembled an incredible cast for The Shape of Water. It stars Sally Hawkins, Doug Jones, Michael Shannon, Octavia Spencer, Richard Jenkins, and Michael Stuhlbarg. The film opens everywhere on December 8. I can’t wait.